ABUJA – The Peoples Democratic Movement PDM has rejected the governorhsip election results for Bauchi state, saying in spite having a governorship candidate, its logo was excluded from the ballot paper during the election. State Secretary of the PDM, Alh. Sani Waziri in a statement Monday night said the party would approach the tribunal for remedial action. The statement reads; “We, the members of the Peoples Democratic Movement wishes to draw the attention of all Nigerians to what we consider as mischievous, injustice for absolute violation of our right to vote and to be voted for. The Peoples Democratic Movement (PDM) is a political party duly registered by the Independent National Electoral Commission ([NEC) with other political parties in Nigeria like other parties. PDM made all the necessary arrangements to participate in the 2019 general election. after complying with INEC time table, the party field candidates by conducting free. fair and credible primary elections which was supervised and certified by [NBC and all security agencies. The logo of our party with the sign of a Torch light was excluded in the ballot papers of National Assembly candidates during the presidential election. But to our greatest dismay the logo was deliberately excluded during the gubernatorial/State House of Assembly election that was held on 9th March 2019. However names of successful candidates were officially forwarded to the headquarters of INEC in Abuja as the procedure provided. “We want to inform Nigerians that our supporters came out en masse to vote for the party in the just concluded 2019 general election, National House of Reps/Gubernatorial and State house of Assembly election in Bauchi State. 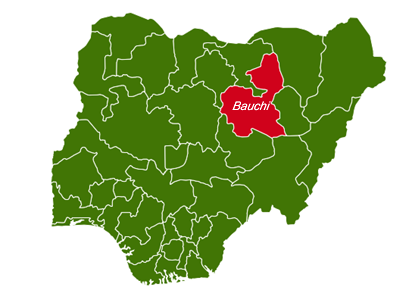 We reject in totality the result of the gubernatorial/State House of Assembly election in Bauchl State. We will approach the election tribunal to demand for justice in this case as the flag bearer of PDM in Bauchi State”, he added.